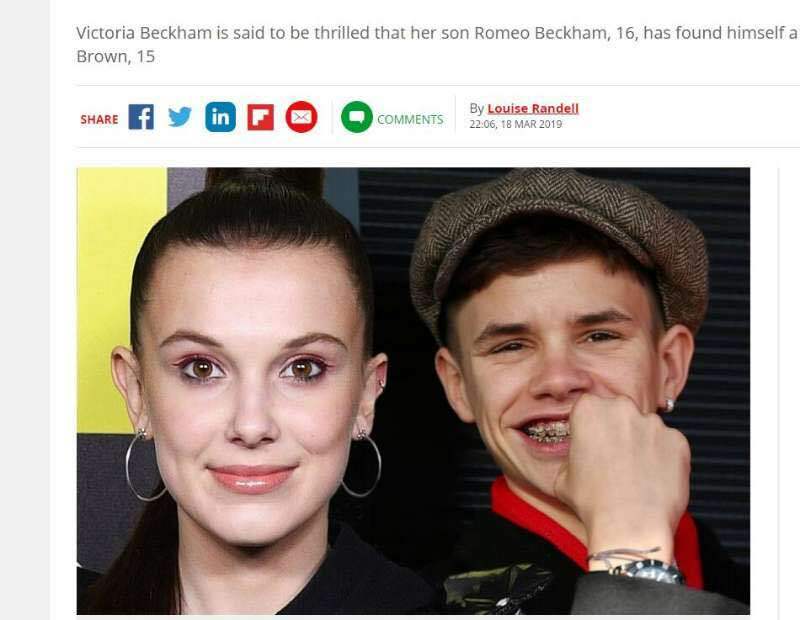 Victoria and David Beckham's 16-year-old son Romeo is reportedly dating Stranger Things star Millie Bobby Brown. The teenager is said to have met fellow Brit Millie, 15, when she handed out an award with his dad David at a Unicef gala in 2016. During the event, she made her feelings for Romeo perfectly clear. When she was asked about what the future holds for her Stranger Things character Eleven, she joked: "I don't know. Something with Romeo Beckham. She also posed for a picture with the Beckhams at the bash, and has since kept in touch with Romeo via social media. While Romeo's big brother Brooklyn regularly finds himself in the headlines over the women he's dating, this will be Romeo's first public relationship. Millie previously dated singer Jacob Sartorius, 15, but she confirmed the break-up in July 2018. The actress, who was born in Spain and grew up in Britain before moving to the US, shared an emotional letter about the split.